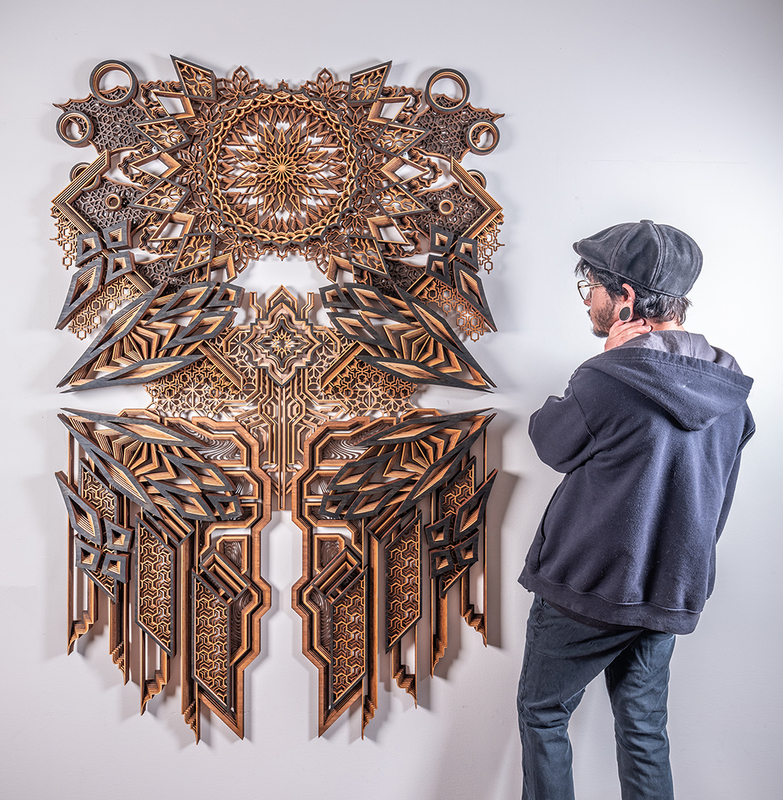 Zak Weinberg is a College of Fine Arts graduate who earned a BFA in Sculpture in 2016 by passionately exploring geometric and architecturally inspired, machine fabricated art and more. 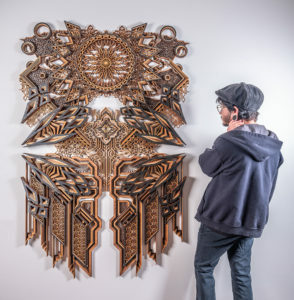 As an Artist Assistant for Studio Fabrication at Clearscapes, he works with Thomas Sayre, contributing to the fabrication of public art commissions, as well as with his own worksin galleries and museums. Shortly after graduating in Summer 2016, I moved to Raleigh, North Carolina and immediately began working with an artist, Thomas Sayre. Principal of the architecture firm Clearscapes, Thomas is a sculptor and painter who I assist with in the design, fabrication, and installation of public art commissions, gallery, and museum exhibitions. 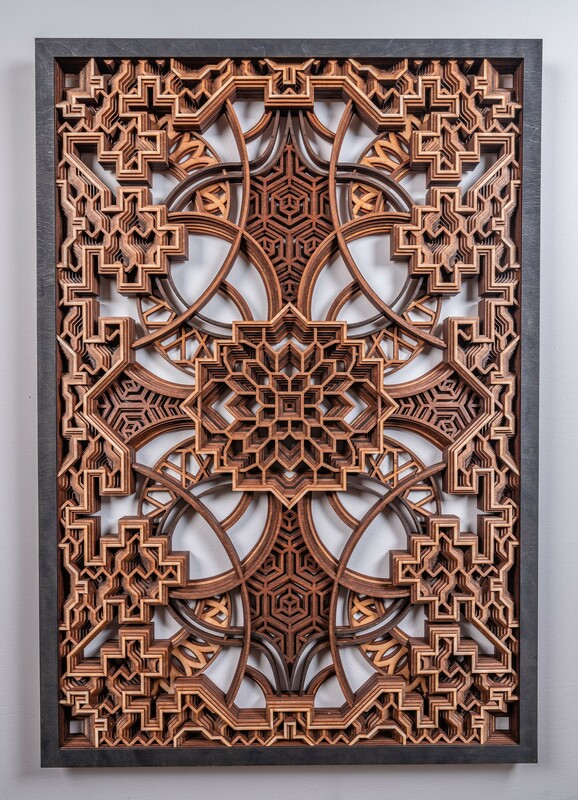 Along with my work in the studio, I have made progress in my personal development as well, showing my lasercut sculptures in various galleries and museums across the state. 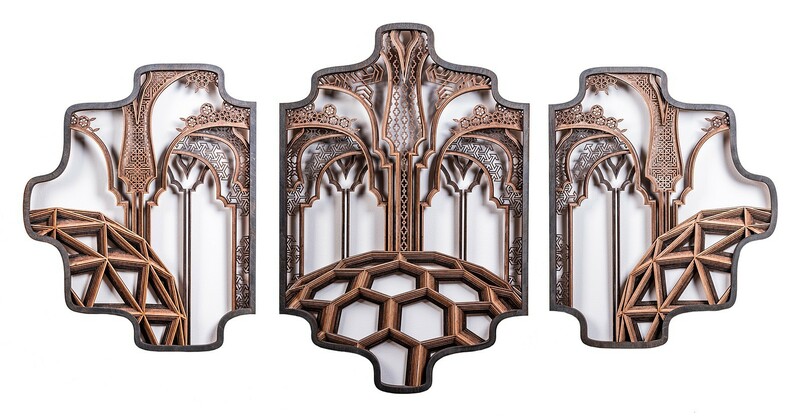 I purchased my own laser system at the end of 2017, developed an entire new body of work in the past year, and recently released it through an “online solo show” using a crowdfunding campaign platform. I was very fortunate to be able to participate in a few specialized programs that gave me real experience working with skilled artists and craftsmen. If not for the Public/Architectural Art Certificate Program, I would not be where I am today. My time spent at the Mastercraftsman Studio and FabLab was invaluable, fostering a wealth of knowledge and ability. 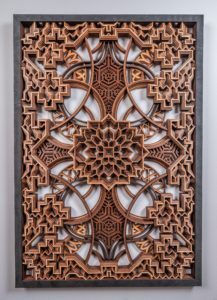 I learned that sculpture and fabrication techniques were not only needed in many other career paths, but they could be honed even further through exploration of mediums otherwise unconsidered. I was provided with opportunities and access to equipment that directly led me down the path I am currently on. I still have a long way to go before I feel comfortable giving advice to anyone. Everybody has there way of doing things and I’m still trying to figure out mine. All I know is that I value my work over everything. There’s a certain innate drive that pushes me to work harder and not let anything get in the way of progressing. Take advantage of the support and guidance of your professors, and the ability to use labs and work spaces while you can. The game changes when you’re on your own.